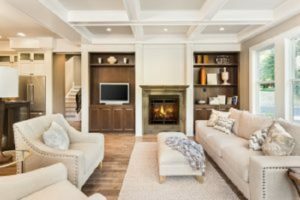 How to Protect Your Furniture from the Sun’s UV Rays - American Solar Tinting, Inc.
You recognize the signs of direct sun exposure on furniture from the lightened color and dry, dull tone that it takes on. You can even tell the difference from one side of a chair to the other depending on how it’s situated near a window. It takes the life and style away from your furniture and it’s a condition that is difficult to repair or restore. Follow this guide for protecting your furniture from the sun’s UV rays. Use window tinting to lessen the amount of direct sun exposure your furniture will get. You will still benefit from natural sunlight getting into your home or office, but the impact of the sun’s UV rays will be much less harmful to your furniture. In addition to the tinting, add curtains to your window that you can use to completely block out the sun during its most intense hours. If you have wood furniture, the sun can cause permanent discoloration. You can protect your wood furniture by sealing its natural characteristics and colors in. Varnish is a top coat and is great for protecting wood from ultra-violet light and heat. Lacquer is another option that provides protection and is known for drying fast and providing lasting durability. In terms of fabric, outdoor furniture fabric is designed to withstand the constant exposure to the sun and other environmental elements. However, indoor furniture will fade, and leather will crack in the sun. Lighter fabrics will show less of a difference from sun fading. Applying a leather conditioner or a color refresh product to your leather will help minimize UV damage. Protect your furniture from the sun’s UV rays by moving it away from the window. Choose cooler and more shaded areas in the space to arrange your furniture and rugs. If that’s not feasible with the space you’re working with, try rotating your furniture around the room so that no one piece is affected only on one side. This will help you achieve more balance in the look of your furniture. Contact American Solar Tinting Today for Your Window Tints! This entry was posted on Friday, August 3rd, 2018	at 7:33 pm	and is filed under Residential Solar Tinting	. You can follow any responses to this entry through the RSS 2.0	feed. You can leave a response, or trackback from your own site.